Victory Organics came knocking on our door in need of help. Help with their brand, help with their product packaging. They had a great product – they just lacked a strong brand identity. The challenge they were having was getting distributors and greenhouses to pick up their product, based largely on the fact that they were an unknown brand name with a product that was unproven (in sales that is). To revitalize this small organic soil amendment company, we started with creating a versatile brand signature. It needed to have structure and character, yet also pay tribute to the farming and gardening industry. The result was a strong, modern design complimented by vibrant colors and a subtle texture. The logo marks were created in a number of variations for flexibility and ease of use, much to the delight of our clients and their customers. Now that the brand was developed, we turned our attention to the product packaging. The goal in redesigning the packaging was to create a unifying layout that carried through each of the four organic soil amendment products. In the end, the reworked packaging easily “pops” off of the shelf – it’s contrasting colors and cohesive elements can be seen across the room. With the new brand and dynamic packaging in tow, it was time to integrate this new life and energy into the website. 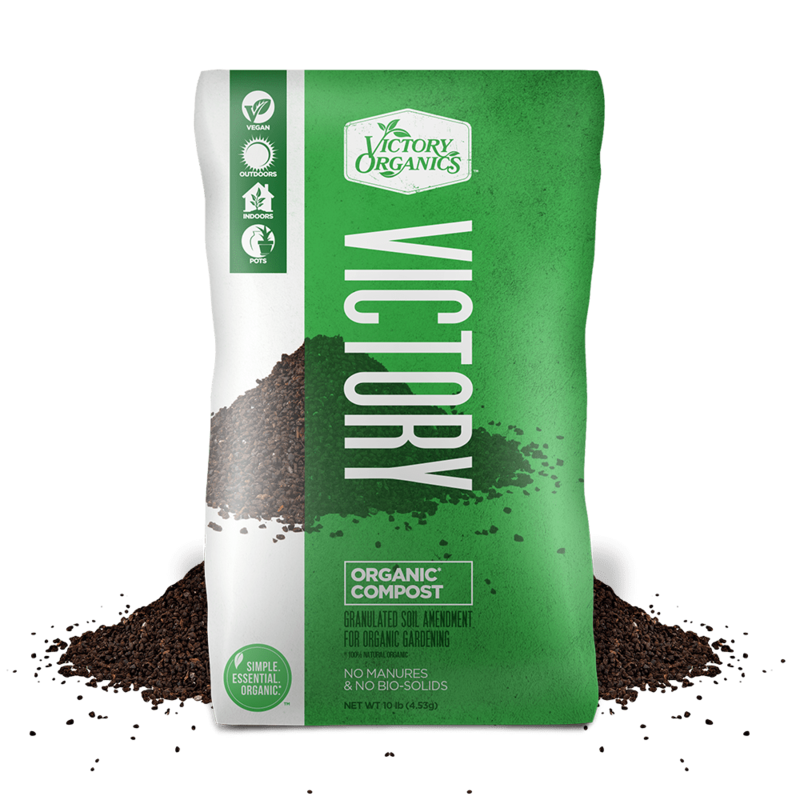 In developing the web content, we wanted it to be written with a conversational tone – because whether you’re a farmer have a home garden, it is a labor of love and our friends at Victory are passionate about what they do. The new website has received a lot of praise, and it shows in the traffic. The launch was promoted through Victory’s social media outlets to much success. The folks at Victory have a strong social media following, so it didn’t take long to get the comments and site visits up. 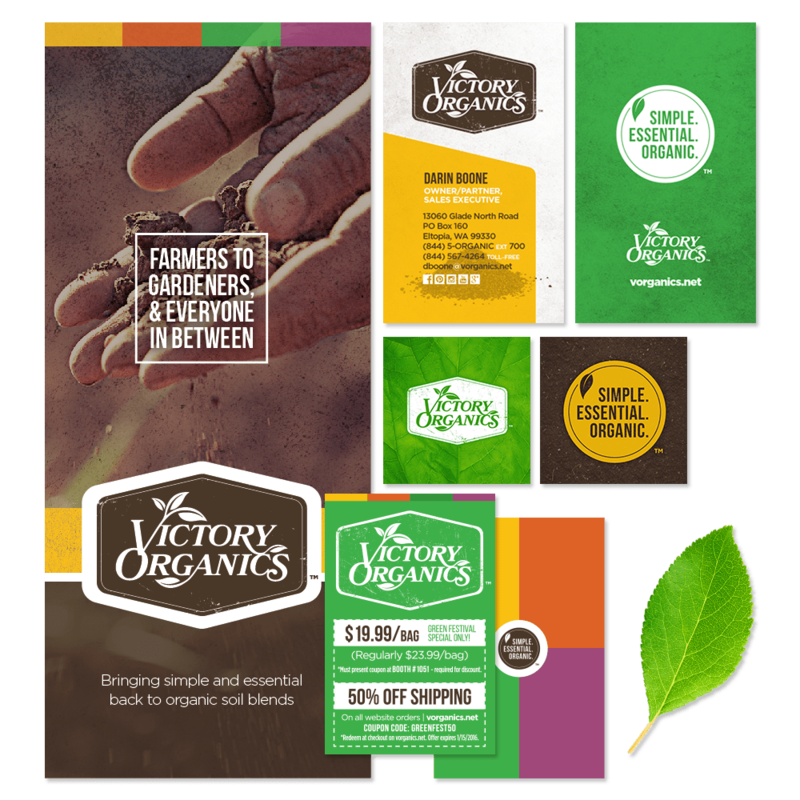 Currently, Focal Point is working with Victory Organics on the next phase of building their brand – including a marketing plan, web video series, and various printed collateral.